Ocala, FL - March 21, 2016 - The Holloway's Equi-Venture Farm along with Mike McCormick's MTM Farm and John Jamieson's International Horse Sales, present The Sale Horse Showcase and BBQ, Saturday, March 26, 2016 at the Holloway's Ocala farm, barn 20, on the HITS Post Time Farm Showgrounds. The event will feature a showcase of top jumpers, hunters, equitation horses and young prospects during a BBQ buffet dinner. As the Ocala Circuit winds down, sellers like the opportunity to sell horses they have brought along during the circuit and buyers love the opportunity to trade up and secure new mounts for the remainder of the show season. The Sale Horse Showcase is a great solution to bring buyers and sellers together in an informal environment that enables buyers to watch a number of horses go and see what peaks their interest. 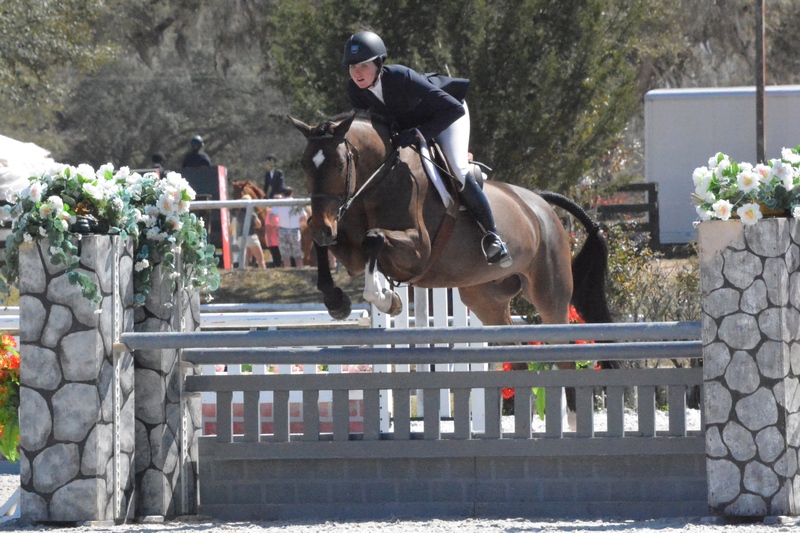 The three farms coming together have a wide variety of top horses from junior hunter champions to grand prix horses, as well as young prospects that can be made up for any ring. "The weekend of the $1 Million Grand Prix is perfect," said Equi-Venture Farm's Brandie Holloway. "New people will be in town that haven't seen some of the horses during the circuit and people who have been busy with their own horses in Ocala, can take time to look at prospects for their clients, plus people can come by and see our new barn and have a great dinner." "The Showcase is an easy format for buyers to see a number of quality horses go. It's all in one location, three sellers and a wide variety of horses," said event organizer and equestrian marketing specialist, Brenda Mueller. "Viewers get to enjoy dinner, drinks and giveaways while watching horses they may want to purchase. Trials can be scheduled immediately and viewers could leave Ocala with a new horse. The Showcase is a convenient way to shop." Entourage has won classes in the junior hunters during the circuit with Hunter Holloway with scores of 88, and is one of the horses that can be seen at The Sale Horse Showcase. The Showcase will begin at 4:30 pm Saturday night, dinner will be served at 5:00 pm. Horses will be shown until 7:30 pm. Everyone is welcome, rain or shine. Be sure to sign up for the free raffle at the event for a chance to win some great products by Walsh and CWD along with a few surprises added in along the way. Mike McCormick and Tracy Fenney of MTM Farm in Flower Mound, TX, and John Jamieson of Ontario, Canada, will join the Holloway's in the showcase, offering a selection of both made and green hunters and jumpers. For more information, visit the home page of the Equi-Venture website at www.Equi-VentureFarm.com or talk to Brandie Holloway or Larry Ellerman at 785-633-6416 or Brenda Mueller at 262-391-6630 or Brenda@ChicagoEquestrian.com.